Enterprises that displace the innovators with better ideas are known as displacers. TCPWave's fabric is built to displace the displacers with innovation. A core network development company, TCPWave is incorporated in the state of Delaware, headquartered in New Jersey, USA with a branch in Hyderabad, India and operations in the US, Europe, India, and partners globally. We initially started with Software Defined Networking (SDN) solutions for core network services and we are currently expanding the scope of our SDN expertise into multiple management components of the network, compute and storage fabrics. We design and implement the most secure core networks and also provide a full suite of network and routing solutions customized to your requirements. In addition to developing, testing, and deploying infrastructure applications, TCPWave provides 24/7 support including 4 hour on site response in most countries. Focused on customizing smart appliances that combine server and router technologies, we design, implement, and manage appliances for enterprise organizations worldwide. Our team of experts are engaged in upgrading servers to appliances for any application; including core networks and DNS service. In the days of cloud computing with an explosion of mobile applications and billions of users exploring information technology at levels that were never seen before, no one can tolerate a ”hold on, my DNS is not up”. The performance, the speed and getting information distributed globally in a secure fashion is extremely important and it's not something that a technology developed in the 90s can do in today's world. Differentials in tenths of a second matter in many time sensitive environments. At TCPWave, we have designed a secure platform that operates at the milliseconds differential. At TCPWave, we don't advertise about the size of our company or the market share that we have captured. 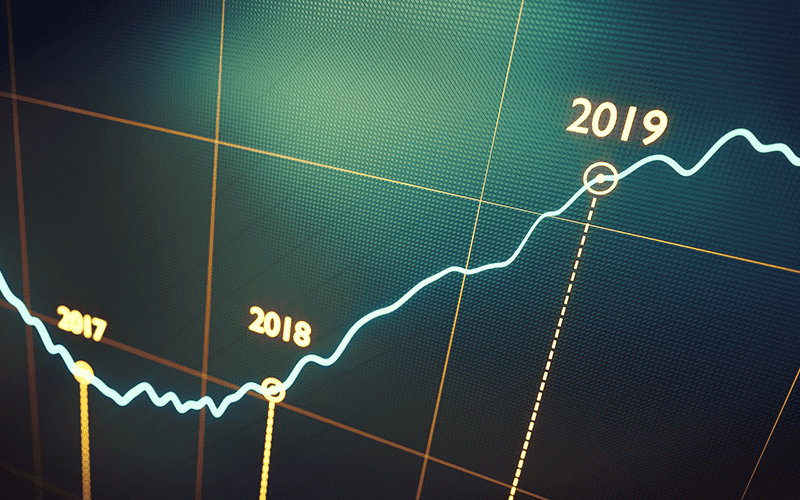 We strongly believe that we have the ability to provide faster network services that can take tens and thousands of changes and propagate them at the millisecond mark across a global network. We believe that getting right information to the right people at the right time using an accurate network service with no compromise on information security is what gives us a major edge. The cutovers done with TCPWave in various customer locations speak for how effective the TCPWave IPAM is. We understand that today's modern networks need a modern IP Address Management solution. Network Automation, scaling into cloud computing without purchasing expensive hardware and integration with cloud orchestration are some of the advantages we provide to our customers. A Yugo from the 90s or today's Hennessey Venom? Contact us for a demo. We design secure and scalable Cloud network services for core networks using our modern SDN technologies. Our Infrastructure as a Service (IaaS) design is capable of managing and monitoring a large complex enterprise running cloud based technologies or the legacy data center models . TCPWave has a strategic partnership with leading server providers and distributes and maintains appliances to over 100 countries worldwide. We have customers in every major market worldwide, who are serviced by dedicated staff ensuring the highest level of professionalism and success in their respective roles. 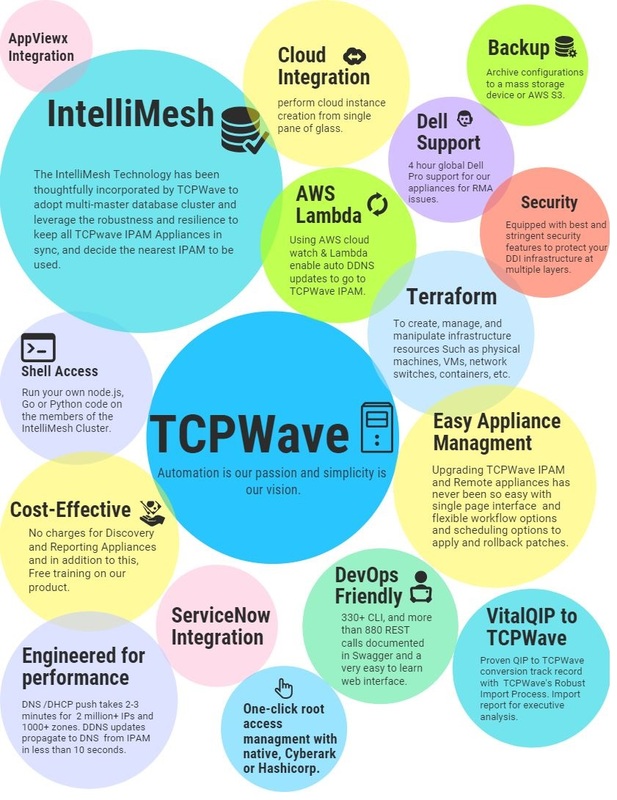 Among network carriers, government entities, and global enterprise organizations, TCPWave is known as an innovator by introducing the concepts of Software Defined Networking to simplify the network services in a global complex infrastructure of Fortune 1000 enterprises. With unparalleled professionalism, dedication, perseverance, and enthusiasm, we ensure our customers are successful. With our constantly evolving demand of increased efficiency, we are in a relentless pursuit for perfection.